crushing their rivals 129-120 in an intense Game 5 of the NBA Finals, where both squads bled it out until the very end. The Cavs, led by LeBron James, who became the first player to average a triple-double in the Finals, initially had a good first half. 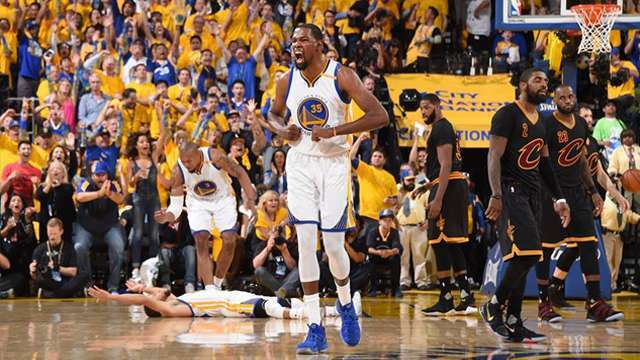 But the Warriors’ firepower, which has been significantly tempered by Finals MVP Kevin Durant, proved too much to handle even for the King and they slowly bowed out to the new champions. 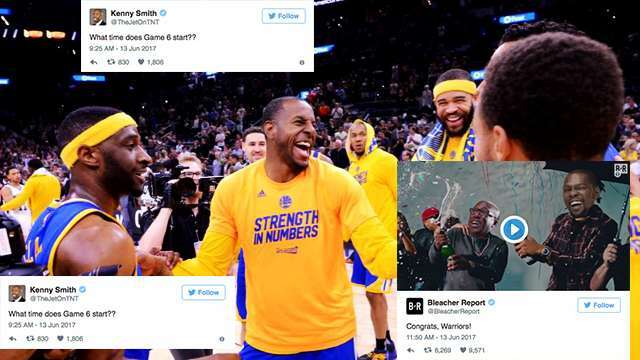 Needless to say, the Warriors received congratulatory greetings from stars all over the world, including legendary Laker Kobe “Mamba Mentality” Bryant. Even our very own Alyssa Valdez congratulated the Warriors! Skip gets sarcastic. Shots fired! Someone’s still a little bit salty, lol! Who could forget Tristan Thompson’s funny moments in game 5 especially “the kiss” with David West? And finally, Steve Kerr can put those “blew a 3-1 lead” jokes to rest.